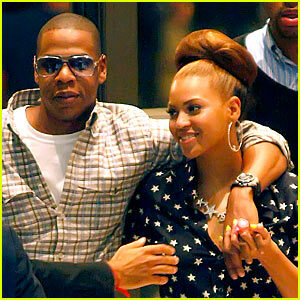 Newlyweds Beyonce and Jay-Z hold hands while out and about in Cannes, France on Sunday. TMZ recently reported that Jay-Z and Beyonce may be settling down in the suburbs on one of the ritziest blocks in Scarsdale (also where they got their marriage license). The couple would be moving into an expansive colonial style house, which has been under construction for about 6 months. Back in the day, Jay Shulman made Scarsdale High girls swoon when he sang “Gloria.” On May 1, 2010 Jay (second from right) was at it again—when his band, the Offbeats, reunited for a Scarsdale Teen Center benefit at Vintage Café in White Plains. 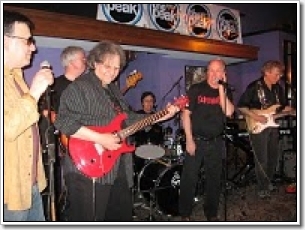 Original guitarist John Moses (far right) joined rhythm guitarist Michael Cefola (red guitar), bass player Larry Schwartzman (second from left), drummer Teddy Spencer (in back), and blues harp wailer/vocalist Thom Pernice (far left) for a return engagement hosted by the Peak’s Jimmy Fink. The benefit raised the most funds ever for the Teen Center. 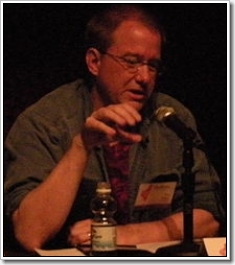 Lead singer Quirk was detained by the Secret Service after a performance where he made a joke about strangling President Clinton. Although the band believed that President Clinton's daughter, Chelsea, was in the audience at the time, reality was that the Secret Service contingent was there to 'protect' an obscure foreign ambassador. It being a longstanding Too Much Joy tradition to tell an obvious lie in the break section of their version of the L.L. Cool J song, "That's A Lie", Quirk explained at some length that the band was well aware of the presence of agents with coily cords in their ears and that the Secret Service was "not famous for their sense of humor". So it was explained further that the song was called "That's A Lie" and that the band is known to tell a lie at this point in the song at which point "my friends will jump in and sing 'that's a lie'... so If I were to, for example, say that I voted for President Clinton but when I see him eviscerating the Bill of Rights it makes me want to strangle him, you'll understand that I don't mean it because..." and then the band came in singing "that's a lie". This would have been the end of the story but apparently the Secret Service felt obligated to take it as a serious "threat". Two hours later, at the end of the show, they detained the band and questioned Quirk until they were satisfied that the band was not in fact on a mission to assassinate Clinton. Apparently they never heard, over the noise of the crowd, that Tim had announced the next song ("I Want To Poison Your Mind") as "I Want To Poison The President."